One of the few passes through the northern Misty Mountains. 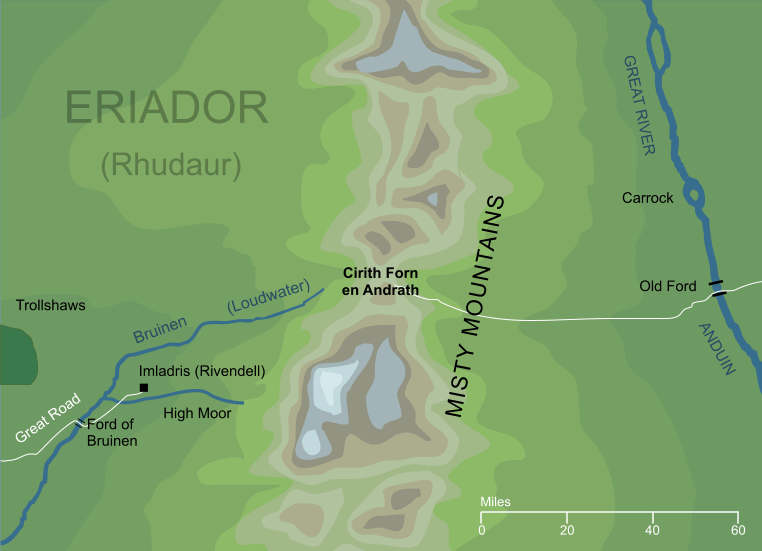 A road led from Rivendell on the Mountains' western side across the pass, then down into the Vales of Anduin and on to the Old Ford to the east. This was famously the pass where Bilbo and his companions were taken prisoner by Goblins in the late Third Age, at which time it was called, simply, the High Pass. In earlier days when it was more commonly travelled, it had boasted a name of Elvish origin, Cirith Forn en Andrath, which seems to mean 'northern pass of the long climb'.